We’ve spent the last few months beating up the Secret Weapon to see if it lives up to its billing as a high-quality gi with innovations that you can’t find anywhere else. Now on to the review for the Grips Secret Weapon 2.0 in White – Size A2! The jacket is very clean looking from the outside. Contrast stitching and the Grips logo embroidered on each shoulder is about all the flair on the exterior. It does sport a small patch on the bottom of the left lapel and a tag on the lapel at the base of the neck. The bottom of the skirt and the interior of the sleeves have been lined with patterned tape that is light gray with the Grips logo recurring every inch or so. 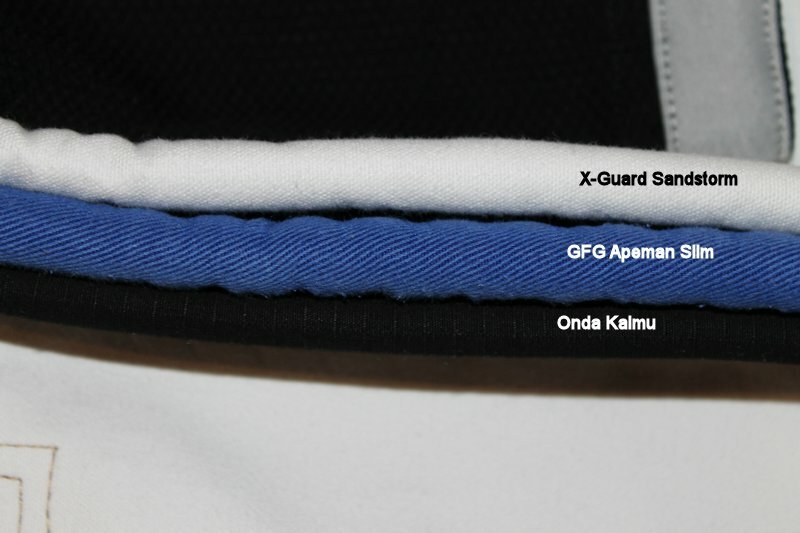 The tape also runs on the inside of the Gi, along the skirt and also on the inside of the lapel up to about the armpit. The jacket contains an interior tag with basic care information, size, features list and a Grips logo. The interior artwork along the skirt at the side slits, along the shoulders and the back is what will catch your eye immediately upon taking this jacket out of the bag—Asian themed artwork of waves, clouds, and the sun looks fantastic. The embroidery is really well done with absolutely no fraying noticed. 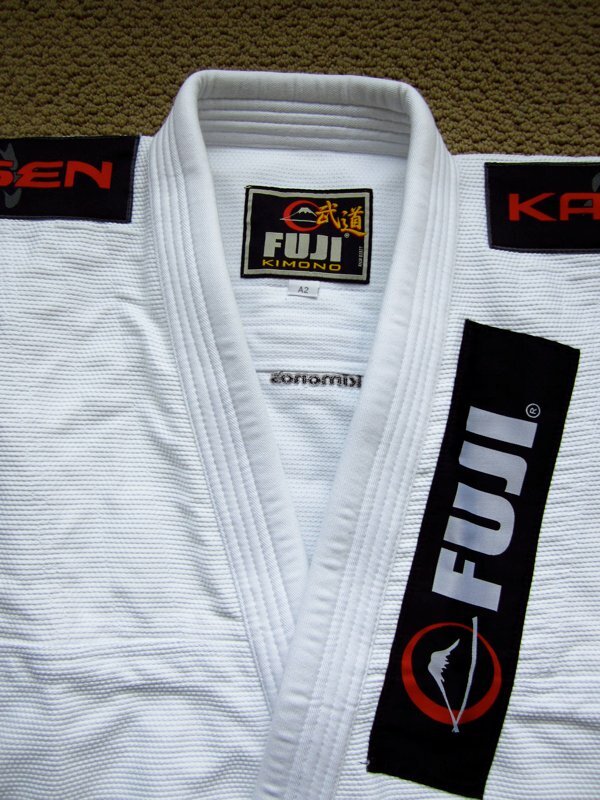 The Gi sports an EVA foam collar. I received many compliments on how the Gi looked and fit. The cut of the Gi made it feel like it moved in all the right places and I didn’t have any excess material. This is another gi that is going to be heavy rotation for sure. The pants have a 6 drawstring loop and a rope style drawstring: the rope drawstring is gray with the Grips logo every four inches. This creates a nice and tight fit around the waist with the waist being off-set, the back half being slightly higher. Keeping up with the jacket, the pants have the same reinforced stitching at all stress points, a sporty cut on the material and contrast stitching. The same tape with the Grips logo runs around the waist and inside each leg cuff. There is additional reinforcement at the knees sporting the COOLMAX technology. A two by four inch Grips patch with some artwork and the words “There are no mistakes only lessons” sits right below the waist on the top of the left leg. On the bottom of the right leg, around the shin, is an embroidered Grips logo. While putting on the pants you will notice right away that there is additional Asian themed artwork at the slide slits at the waist and the interior of the crotch panel. A small tag on the interior of pants at the rear has basic care information and another smaller size tag. The fit is great across the chest with no extra material and the sleeves felt great. The only problem I noticed was that the pants were a little tight along my thighs, but that could just be me. The sleeve and pant length were perfect. After 10+ washes/training sessions I have not noticed any negative wear and tear on any of the stitching or stress points. While drilling and rolling the Gi was not restricting at all. I did notice that I had to tie the pants securely with a good knot or it would start slipping off my rear. Being such a light Gi, it felt great when the classroom gets warm. I also tend to wear a rashguard underneath my Gi, so I did not notice this Gi being much cooler than any of my other light Gi’s. The benefits of COOLMAX fabric wasn’t noticeable with a rashguard on. A big bonus for the Grips Gi was that it shrunk less than any other Gi I have owned thus far; very small amount of shrinkage in the jacket and none on the pants. 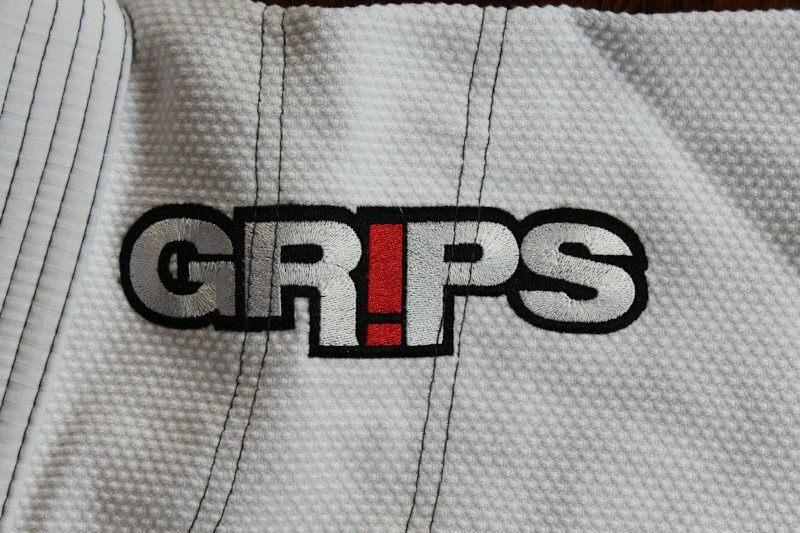 If you are in the market for a great looking, higher end Gi then the Grips Secret Weapon 2.0 is a great Gi and you should absolutely check them out. If the price tag of $189.00 is too steep for your pocket, then check out the Primero which is their basic Gi priced at $119.00. The Royal Blue and Black version are priced the same for the Secret Weapon 2.0. 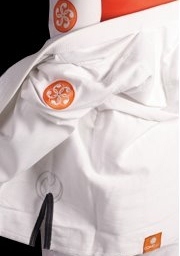 Grips also has a womens gi, the Amazona at $179.00. The biggest plus of the Gi is the barely noticeable shrink factor, great fitting sport cut, and a classic look with a little flair on the inside. Make sure to check out their website and Facebook page for any upcoming deals and announcements.